Vaping 101 - What it is and how it all works! The definition of vaping is the act of inhaling smoke-looking vapor from an electronic cigarette or vape device. Vaping simulates smoking but in a less harmful manner. A flavored nicotine liquid called vape juice (e-juice) is what’s in a vape, but not all vapes contain nicotine. The user decides the flavor and amount of nicotine they wish to use, if any at all. Vapes are handheld electronic devices designed to produce inhalable vapor. It’s a technological solution to nicotine and tobacco smoke dependency, where the user can choose to step down or control the nicotine consumption similar to using gum or a patch, but with the familiar sensation and hand-to-mouth action as smoking. The first retail vape was an electronic cigarette designed to look just like a tobacco cigarette. Designed by Hon Lik, it was released by the China-based company, Ruyan, in the early 2000s and in Europe and America around 2007. 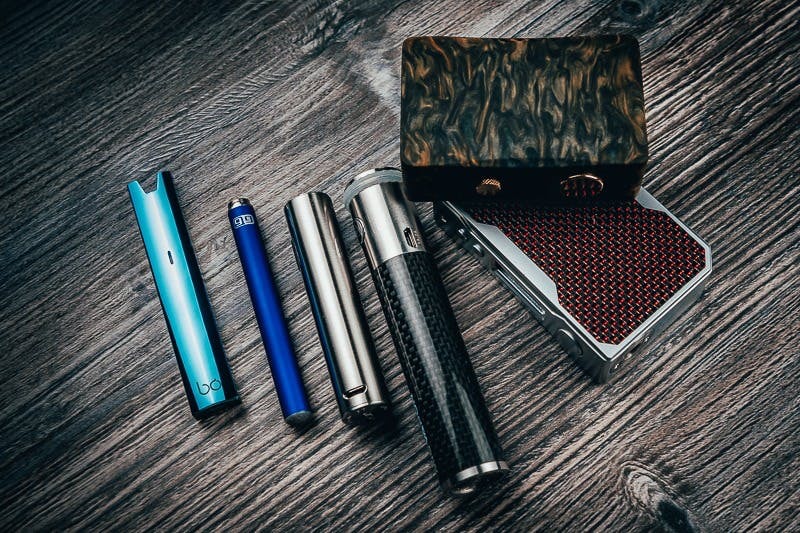 Now different types of vapes range in design, power, and vapor-making ability, but the basics of their functions and usage are the same as the first one made. A vape works as a complete system. No one component is the vape, it’s what you have when it all comes together. 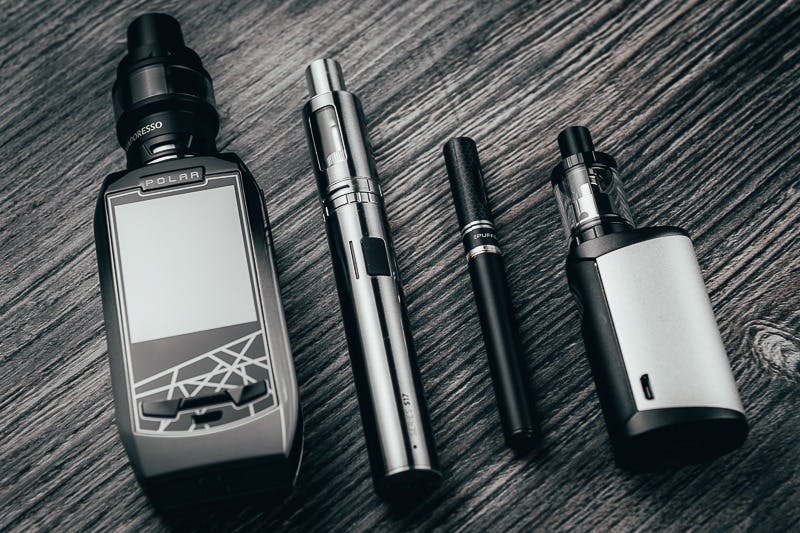 Although many experienced users shop a la carte for mixing and matching vape parts, beginners are advised to stick to pre-packaged kits with everything included to ensure appropriate compatibility. The vape mod is a battery device, normally using lithium ion batteries. These devices can come in many forms and sizes. They’re named accordingly, like box mods, vape pens, tube mods, to small designs called pod vapes and e-cigarettes. The term “mod” is a nod to the early days of vaping when users modified devices for more power. Nowadays, vape mods have a broad range in electronic features and power limits. Some are more advanced and can be adjustable in watts (variable wattage mods) or even controlled in temperature (temperature control mods); others have no adjustability and require no technological understanding from the user. Vapor is made in what’s called a vape atomizer, sometimes called a vape tank. It’s a self-contained chamber electrically connected to the vape mod. It houses a resistance heating element – a metal coil – and an absorbent wick saturated with e-juice (containing similar base ingredients to theatre “smoke”). When the user takes a hit, the coil heats the liquid from the wick, instantly making smoke-looking vapor. Any atomizer written as an acronym beginning with “R”, like RDA, RTA, RDTA, etc. Just like with vape mods, there’s a lot of variation to atomizers. The key thing to remember that they need to be compatible with the vape mod. 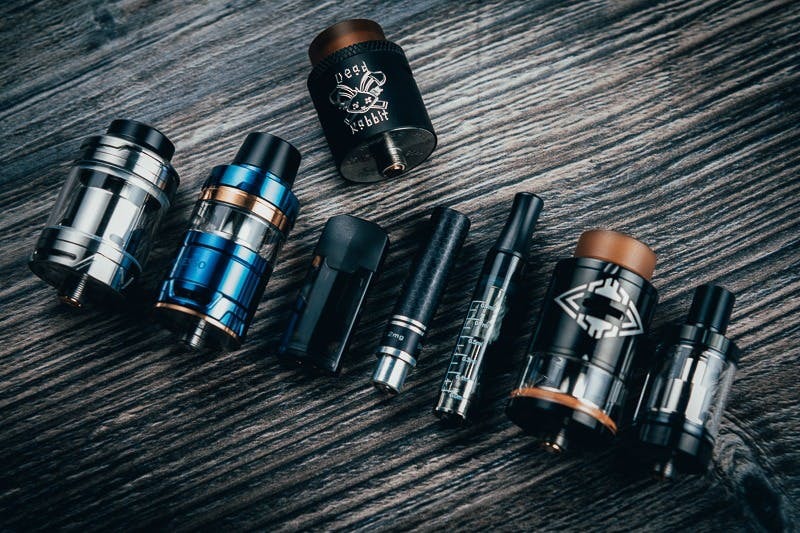 Not all will physically fit on all vape mods, and some aren’t appropriate due to their coil resistance and the power they may require to function properly. The coils in atomizers come in various resistance ranges (ohms/Ω). Some coils make voluminous clouds (low resistance; less than 1 ohm) and others make more discreet vapor (high resistance; near or above 1 ohm). Regardless of the resistance, or type of atomizer, all coils are discarded after time. They don’t die like the filament in a light bulb, but flavor and vapor will decline after prolonged usage. This can range from a couple days to a week or longer. The best chance at success is to keep it simple with the device you buy. Simple vapes are in no way inferior to advanced devices, they’re just easier to use. Step 1: Get a basic vape starter kit. No matter the look, they all make vapor in the same way. These devices range in price from about $20 to about $60. There are four major categories for these kinds of vape kits for you to choose from. All vape kits come with some sort of instructions. Since nearly all the devices are made in China, the wording may be a bit broken in the instruction manual. However, the instructions will explain how best to use your specific kit and will typically have useful diagrams for clarification. Aside from prefilled kits, all vapes will need to be filled by the user with vape juice. If you find yourself needing more help, do a Google search for a review of the kit you have, in the off-chance your instruction manual doesn’t tell you how to fill your device. If you don’t know what specific nicotine level is right for you, determine for yourself which bracket you think you’ll appreciate more. Are you a heavy, light, or recreational smoker? Extra high levels of nicotine (often sold as nicotine salt vape juice) can be felt fastest, and can be a more intense experience. Lower nicotine takes a bit longer to feel, and is normally a less intense experience. Once you determine whether you want to try low, medium or high nicotine, start at the lowest levels in that range and assess from there – and make sure the power of the device is suited to that level of nicotine. When you vape for the first time, the way you inhale can make or break the experience. This is extremely important! If you inhale incorrectly, it could lead to coughing or an unpleasant rush of nicotine. 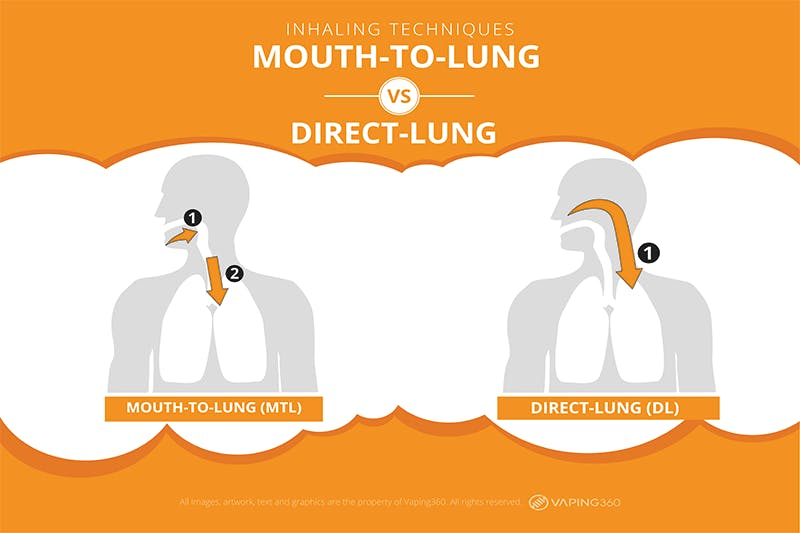 There are basically two types of inhalation techniques: mouth-to-lung and a direct-lung draw. The ideal inhalation technique depends on the vape you want to use. MTL hits will normally work best in smaller vapes with high resistance coils, using high nicotine. When you take a drag from these devices, no matter the size of the device, it should feel like sucking air through a coffee straw. It should be tight! This type of draw makes low vapor and feels like the act of smoking, providing a similar type of hit to the throat that many smokers crave. It’s a simple technique. The DL hit is mostly ideal for larger vapes with low resistance coils, using low nicotine. Taking a drag on one of these devices will usually feel like sucking air through a milkshake straw. This type of draw makes the most vapor and feels like taking a “bong hit,” though it’s considered a smooth and easy hit since it’s used mostly with low nicotine. If you can’t figure out the best draw for your vape, or if your device has adjustable airflow, the nicotine content is the best gauge for how to inhale it. As a rule of thumb, high nicotine (12 mg – 60 mg) is better suited for MTL, and low nicotine (0 mg – 6 mg) is best for direct lung inhales. Medium nicotine (6 mg – 12 mg) can be okay for both types of inhale, but typically 6 mg is the cut-off for direct lung inhales. Some users opt out of inhaling to the lungs and puff on the vape like a cigar. Although not technically inhaling, the cigar puff can be used with high power (similar to DL) or low power devices (similar to MTL). This kind technique still works to consume nicotine because it gets absorbed in mucus membranes. Some would even argue that inhaling to the lungs is unnecessary. Although cannabis concentrates and cannabis flowers (weed) can be vaped, they have their own style of vaporizers to handle vaporizing herbs or thick waxes. Do not buy a vape designed for vape juice to use with cannabis products unless it’s sold as multi-use. The one exception for cannabis products is CBD since it’s available in non-nicotine vape juice. No other products, solutions, or chemicals should be vaped. Nothing from your kitchen, like cooking oils or syrups. Although vape juice feels like an oil, it’s not. 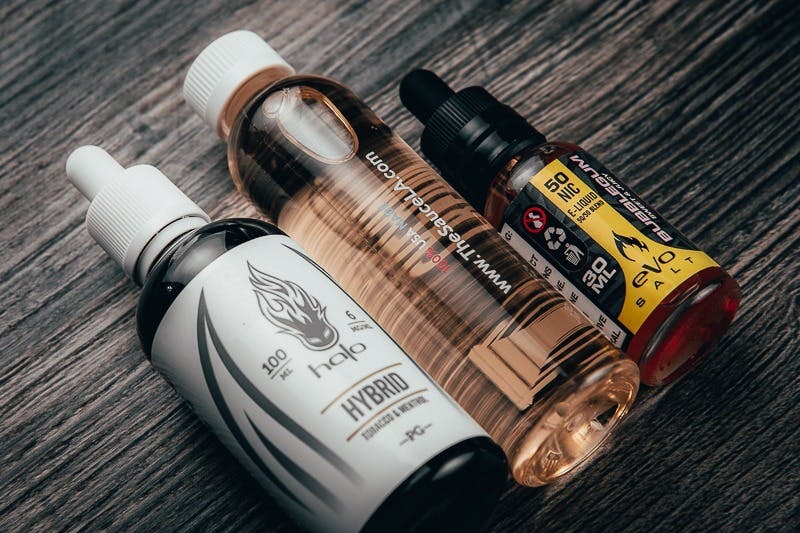 The base ingredients of vape juice are water soluble, but that doesn’t mean either that you can vape something like soda. Vaping is made for vape juice! Even if you’ve seen someone doing something crazy on YouTube, do not attempt to vaporize non-vaping products. The decision to start vaping is a personal choice for adults to make, usually to combat an addiction to smoking. Vapes are not wellness or smoking cessation products, though they have helped many people become tobacco and smoke-free. 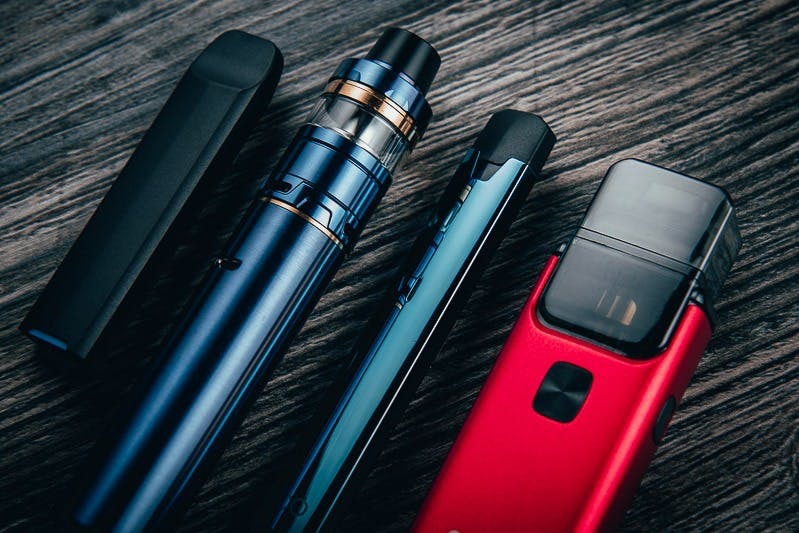 Vaping has its fair share of pros and cons, but the act of vaping is considered harm reduction – particularly when the only alternative is smoking.